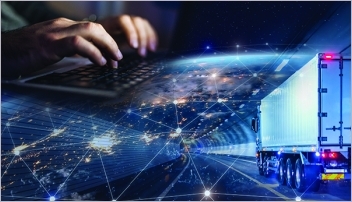 The transportation management systems market is growing right along with the number of challenges that shippers face in today’s hectic freight transportation environment. Challenged by rising freight rates, driver shortages, tight truck capacity and changing customer demands, shippers are using more technology to work through these and other transportation-centric problems. 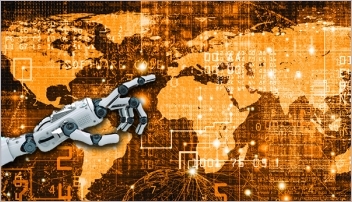 As the true workhorses of the supply chain management software cluster, transportation management systems (TMS) have become the “must have” for companies that—working under the pressures of e-commerce and omni-channel—need to move beyond clipboards, spreadsheets, and phone calls to manage their increasingly sophisticated transportation networks. And that rising tide buoyed all ships, so to speak, with TMS being one of several supply chain sectors to see more sales and higher adoption rates, says De Muynck, who credits a continued investment in TMS on the part of larger shippers plus first-time buyers investing in their first platforms as two of the key market drivers. “We still see some larger shippers that don’t have a TMS beginning to make their first investment in the technology,” says De Muynck. Another driver are those companies that invested in TMS 10 years ago to 20 years ago and now want Cloud-based systems that come with modern-day bells and whistles like data analytics and transportation optimization capabilities. “A lot of these companies are switching over to newer, and typically multi-tenant Cloud solutions,” he adds. Over the next few pages, we’ll look at the growth of TMS over the last year, show how it’s being used to help shippers keep up with their customers’ delivery demands, hear from a shipper that’s reaping the rewards of its new TMS, and take a peek at what’s around the next corner for this critical supply chain software segment. 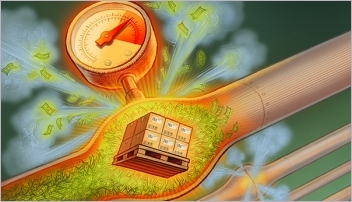 Positioned between a shipper’s enterprise resource planning system (ERP) or other legacy solutions and its warehouse management system (WMS), TMS automates the inbound and outbound shipping processes. Charged with obtaining the best possible mode at the lowest possible price, this software also handles the execution process (i.e., rate acceptance, carrier dispatch, etc.) and provides visibility into the shipping process (shipping from point A, arrival at Point B, Customs clearance, and so on). A more modern TMS is delivered via the Cloud (versus an on-premise solution) and comes with data analytics, transportation optimization capabilities as well as the ability to track key performance indicators (KPIs). Some of the newer entrants into the TMS market include Kuebix and 3Gtms, both of which made Gartner’s “Magic Quadrant” for transportation management systems listing for the first time in 2018. These and other Cloud-based providers have opened the doors for smaller shippers that want to automate and gain visibility over their transportation activity. As companies push to position their fulfillment and warehousing operations as close to their customers as possible, TMS is helping them achieve that goal. Also piquing shippers’ interest right now are the metrics, analytics and KPIs that a modern TMS can provide. That data can be used to make better decisions. In essence, a TMS paints a KPI/metric-based picture of the entire end-to-end supply chain, Sethi says, all while sitting outside of the four walls of the enterprise and warehouse. It also interacts with trading partners in the value chain—vendors, customers, freight providers and carriers—thus creating a complete loop that logistics professionals can turn to as a reliable source of data and intelligence. “We’re definitely seeing more shippers harness this TMS capability,” says Sethi, “and then use it as a good data source for how the entire supply chain is performing.” This trend is helping to drive TMS functionality as a whole right now, he adds, and is prompting vendors to weave such capabilities into their solutions. A supplier of sensing, electrical protection and control and power management solutions, of Attleboro, Mass., operates in 12 countries, including China, Japan, Korea and Malaysia. Up until recently, Sensata managed its transportation in a silo. If a shipment was moving from Mexico to Europe, for example, the former would handle the process with little (if any) intervention from other locations. That meant very little transportation network visibility, and even less collaboration among the company’s various locations. Turning to Kuebix for help, Sensata decided to automate and streamline its outbound freight process. Currently in use with eight of the firm’s 12 international locations, Kuebix’ Cloud-based TMS manages multiple transportation modes, including heavyweight air freight, parcel, hand-carry carriers, and less-than-truckload (LTL). It will soon add ocean to that lineup. “We’re using our TMS all around on the outbound side,” says Ballerstedt. The TMS also helps Sensata divvy up the transportation duties across its logistics team and its customer service team, both of which are involved in the process. When shipping inter-company or to a customer, for example, both teams need to know when the materials are delivered. One of the most used features in Sensata’s new TMS aligns directly with the shipper’s process for expediting shipments. If a customer needs materials the next day, and if those materials are going to cost $10,000 to ship, the TMS provides options that help Sensata minimize those fees while keeping its customers happy. 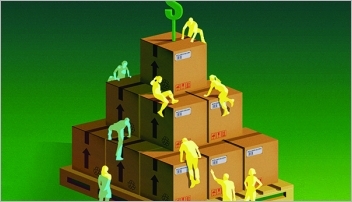 For example, an 8:30 a.m. delivery might cost the full $10,000, but a 12:00 p.m. delivery might be half of that amount. And by the end of the day, that amount could be reduced by 60% to 70%. As more shippers like Sensata explore their TMS options, and as existing users upgrade to newer systems, Sethi expects the market to continue down a healthy growth path. And with more shippers wanting to optimize their freight procurement activities, he says the value of TMS will only continue to expand over the coming years. Looking ahead, De Muynck expects more private equity investment bankers to take an interest in TMS, similar to what happened when acquired MercuryGate and E2Open (which is backed by Inside Venture Partners) bought Cloud Logistics.